Version 1.4 is now out, please refer to below link to view the latest version. 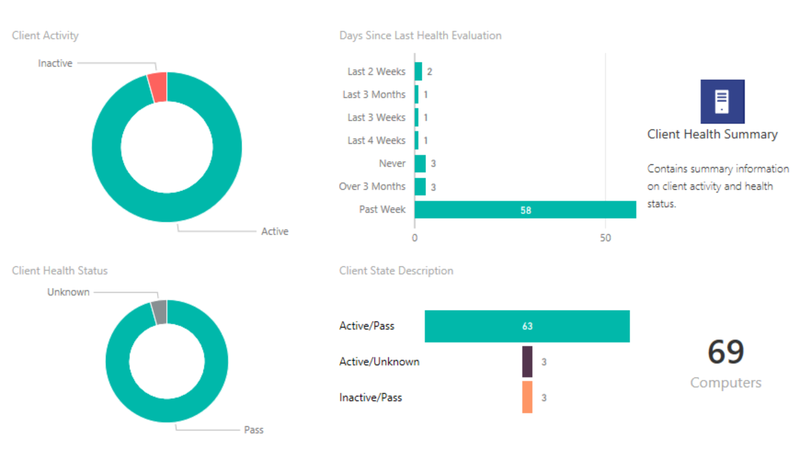 So I’ve recently joined the PowerOnPlatforms team and I’ve been working with SCCM and Power BI to develop some reporting dashboards I wanted to share :). 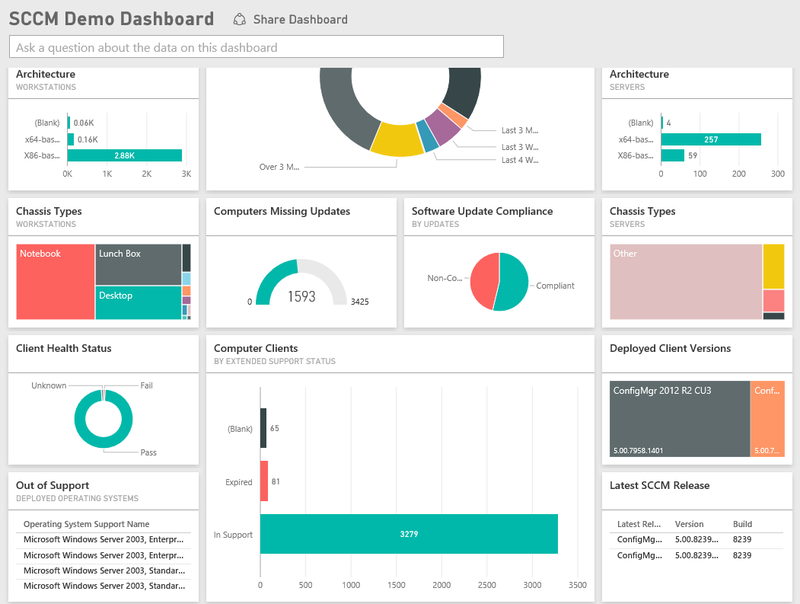 This report displays some overview information for visually seeing a sites SCCM configuration through the free Power BI desktop. This contains a breakdown of your site workstations/Servers including manufacturer, operating systems, architecture and even chassis type info! The Chassis Type information goes off to a technet page so you may need internet access when initially loading your data. Now this is the cool part… The site admin view queries the configmgr dogs technet post for the latest SCCM release. 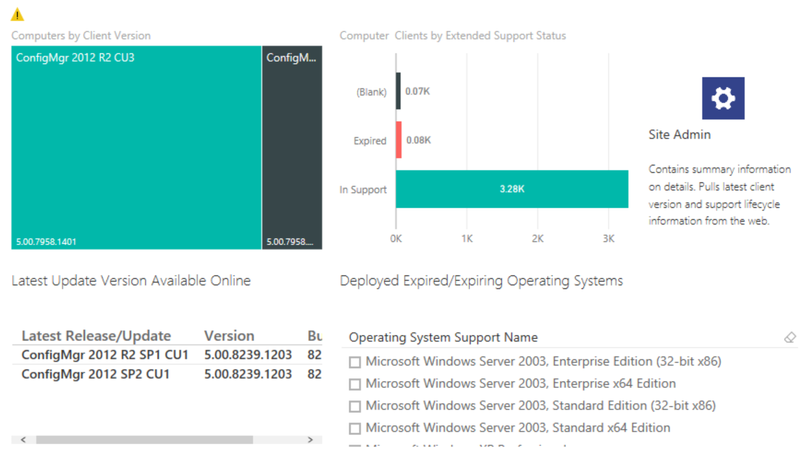 It also queries the Microsoft support life cycle site and checks for expired or expiring operating systems currently deployed which you will need to address. 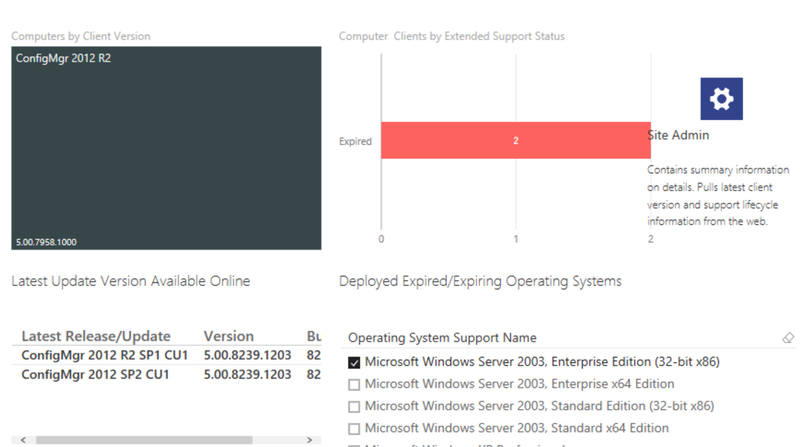 The Deployed Expired/Expiring Operating Systems slicer also allows you to filter the OS to give you an indication of whats expiring by count. 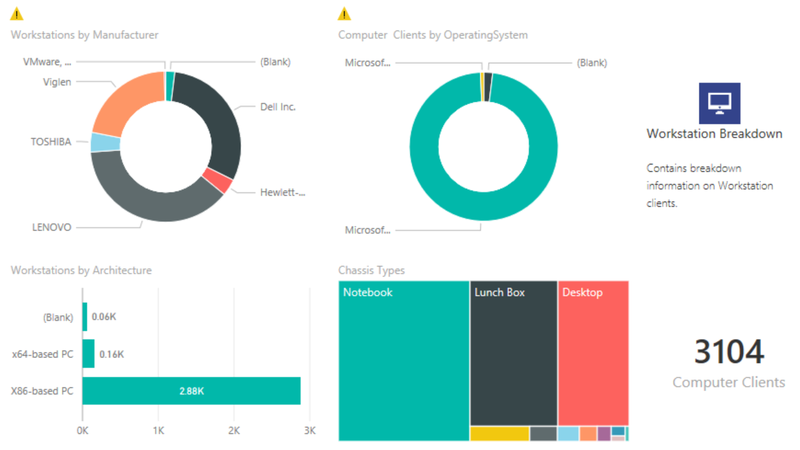 The desktop version of Power BI is free to use and I used this without publishing the report up to the web just to produce a quick report. 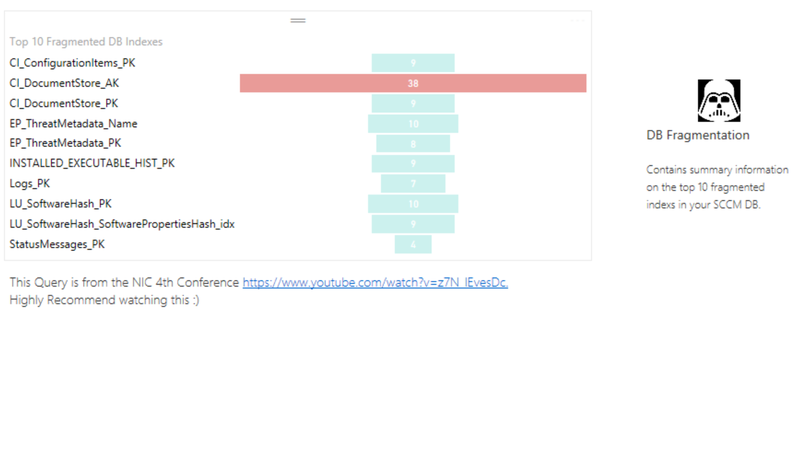 The data is on this report is not live as its only from the last time you load the data but you can easily reload the information on startup. 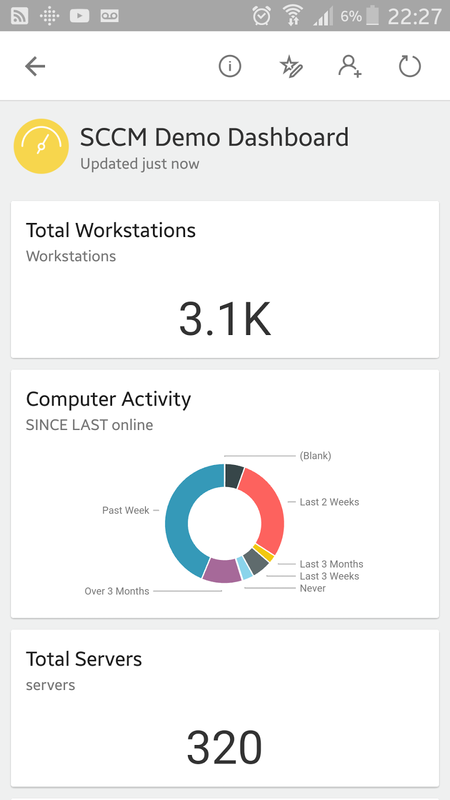 Hopefully you’ll love the dashboard as much as I do now :). Feel free to leave feedback or if you have any ideas which may improve or add to this, feel free to contact me via twitter at @Raf_Delgado or comment below. 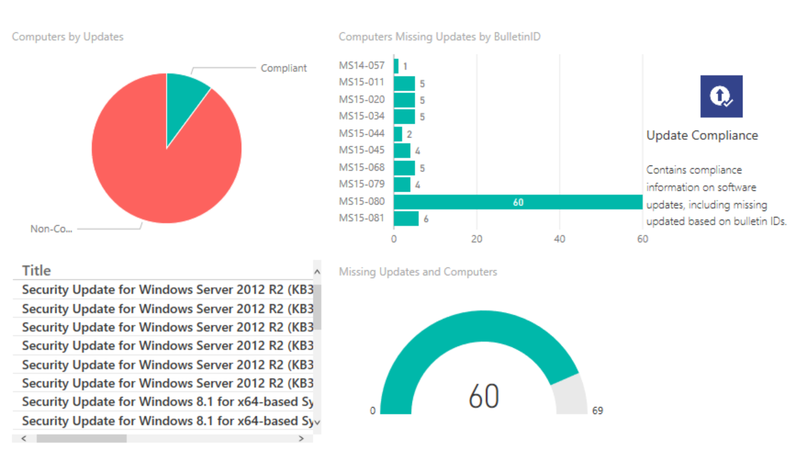 Added DB Fragmentation Report into the dashboard. SQL query from Kent Agerlund’s NIC 4th Edition. 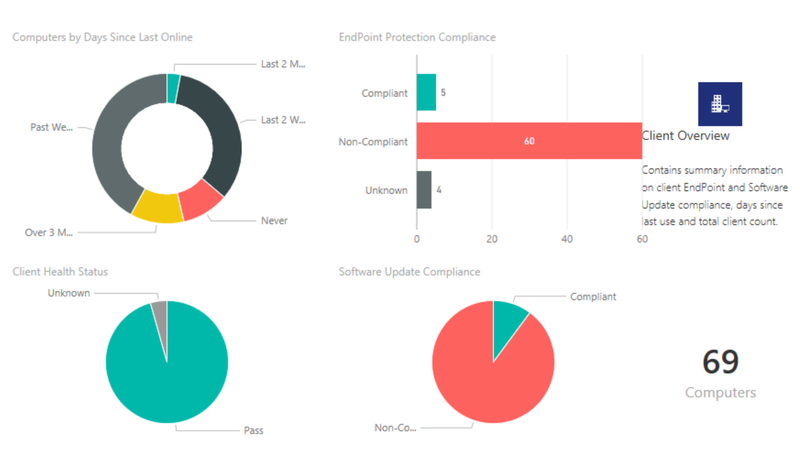 I want my reports to look like yours how do I make this happen? Hey Cory, thanks for the comment. How what have you done so far? Have you got the configuration pointed to your site server and DB? If so you should just reload the data and it should be OK.
Do you know how i've got this mistake ? 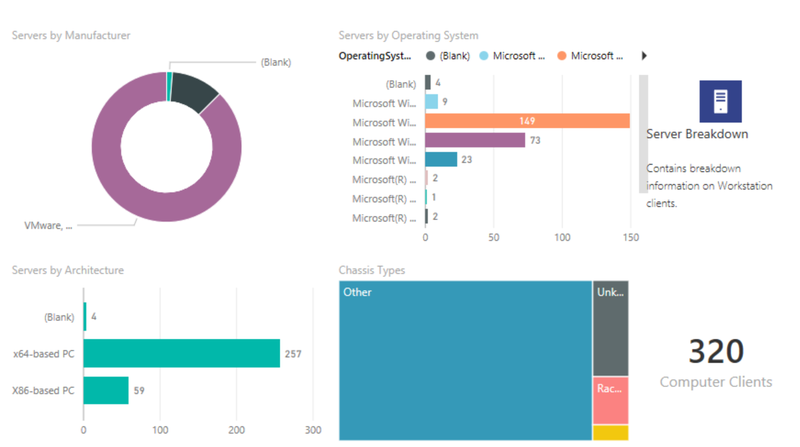 Someone else got this a while back on the technet gallery, they resolved this by running Power BI with an account with admin credentials. 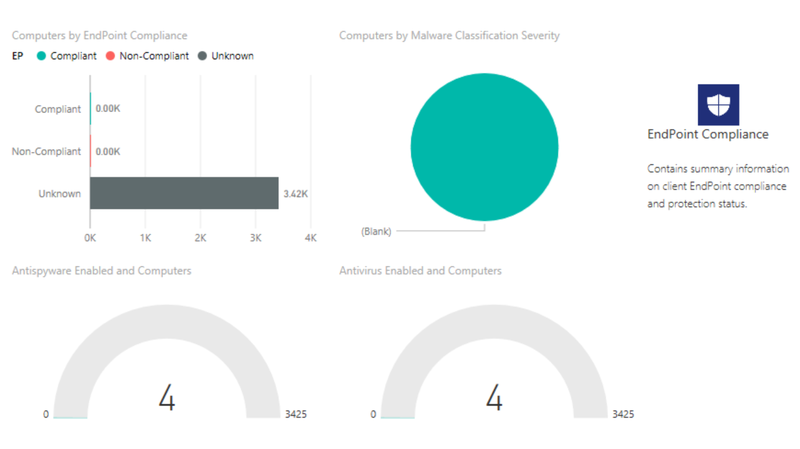 There appears to be an error in the logic applied to Malware Detection Details. If a machine has multiple "hits," the table will not load due to the one-to-many relationship that keys on ResourceID. Any suggestions on how to fix? DataSource.error:the Web.page function didn't finish within timeout of 100 seconds then all of the rest error out with load was cancelled by an error in loading a previous table. Any thoughts? You'll need to decent connection to allow the web pages to refresh. Alternatively, you can turn the refresh on the query for the suupport cycle off and use the current set. My database connection is fine but keep getting error at refresh of _Client information "Expression.Error: We cannot convert a value of type Function to type List." Ideas? Great rev up. Had everything working great until recently. I'm now getting an error refreshing the data. Expression.Error: The column 'Version' of the table wasn't found. This is excellent! I love it. My only problem is the DeviceName under certain reports is an 8 digit number, not the machine name. Any ideas? What do you put in the Database field under optional? There is a parameter to set whether you want the device to be the computername or the resourceid from the DB, sounds like its the resourceid. You would have to change each query and hard code the variable which is the database. The technet website changed its label, we've a new version coming out very shortly which fixes this.